We’re proudly known in the industry as professional painters who provide top-notch painting and finishing services no matter what type of building or property you may have. We’re a Dulux-accredited painter in Brisbane, proving our expertise and high level of workmanship for every client we can also provide a 5 year warranty at the completion of each project. With a complete range of painting services and our reputation as one of the finest commercial and house painters in Brisbane, E and A Painting Solutions has all your painting needs covered. Contact us today to get a quote from our team. There are plenty of painters in Brisbane, but there are only few that are truly worth your time and money. If you’re looking for a painter that you can be sure will get the job done and get the results you want, E and A’s painters are the painters for you. Professional – As any of our clients will tell you, E and A painters are top-shelf professionals. We work on time, provide the painting solutions you expect from us, and work closely with you to get the results you want. Experienced – Our team has years of combined experience in the house painting and decorating industries, providing a level of expertise and practical experience that many other painters simply can’t match. Since starting our business in 2004, we’ve continually refined this experience to provide unparalleled service and skill to our clients. 100% Australian Owned and Operated – We’re proudly a 100% Australian owned and operated business, giving you confidence in our work and our conformance to Australian standards of quality. We Only Use the Best – At E and A Panting Solutions, we know that if you want the highest quality of work, you have to use the best tools and materials available. That’s why we only use trusted brands like Dulux, Sikkens, and Cabot’s for our work. We combine these industry leading products with our high level of skill and expertise to give you a painting service you can always count on for beautiful finishes. Contact our team today to find out why we’re one of the most trusted painters in Brisbane. As the main living quarters in most properties, home and property interiors require a more deliberate and delicate approach to painting. Because it’s exposed to the natural elements all day, your property’s exteriors require paint and painting techniques that work with its structure rather than fight it. We understand this fact and provide exterior painting solutions that don’t just make your property look amazing but also help keep it strong and protected from the elements. We’ll also provide recommendations on the best products and techniques suited for your building so that – rain or shine – your property can withstand the elements while looking beautiful at the same time. Having painted countless homes and houses over the past decade, we’ve become true experts in house and residential painting in Brisbane. We’ll know which paint products and techniques can provide the best results for your property based on your home’s building materials, structure, and environment. Our extensive experience in house painting also allows us to recommend your best colour options, giving you a better idea of what will and won’t work for your building. If you need a commercial painter in Brisbane, we are the painters for you. We’ve painted several commercial properties throughout Brisbane since 2004, and we’ll know how to make your commercial property look as attractive and inviting as possible. With our commercial painting solutions, you can capture the look and feel you’re going for in your commercial space and make your employees and customers always feel welcome. If your property requires touch-ups or repainting services, our property management services may be what you need. We offer property management solutions that will help keep your property beautiful and make it look like new again. Whether inside or outside your building, our painting company in Brisbane will help you breathe new life into your property. We’ll also work with your schedule as closely as possible so that we can minimise any disruption to your daily routine. Wallpaper makes great decoration in some properties, but many buildings could also do without them. If you need to replace existing wallpaper or add new wallpaper to your space, our team can easily do this for you. We can come in and assess your situation, give you a quote, and provide your best options for painting your wallpapered property. High-quality faux finishes require top-level skill and expertise – something that our team has had for several years now. We’re experts at providing faux finishes for homes and commercial properties, creating extraordinary finishes that will truly make it stand out. If you have a pool that requires high-quality coating, we can do it for you. We’ll provide your best options for pool coating based on the type of coating and finish you want for your pool. Given the countless choices for colour, textures, and finishes available today, choosing the right paint for your home or property can be frustrating. When it comes to the best and most reliable painters Brisbane wide, EN and AE Sinitsky Painting Solutions have long been one of the top choices. 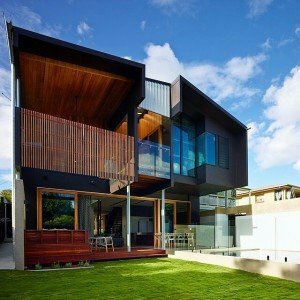 With our solid reputation in the industry and years of experience under our belt, we’re easily among the top painting contractors in Brisbane today. Get in touch with us today by calling 0403 659 661 or send your enquiry to info@eandapaintingsolutions.com.au. EN and AE Sinitsky Painting Solutions was established in 2004 as a family-run business by father and son, Eugene and Alex Sinitsky. Over 35 years in painting and decorating.